We are pleased to offer these fabrics from Camira! Individual digital swatches are available. Our stock 300 Denier Nylon continues to be quite popular. Most of our residential clients find it an excellent option. It is also a good fit in commercial settings where price, ease of cleaning, durability, and high traffic are primary considerations. Its texture, color, and appearance are suitable for a wide range of applications. It has been dyed to a natural linen color, and treated with a water repellant and cyclic phosphate, a nontoxic flame retardant. Cyclic phosphate meets the flammability requirements set forth in the Federal Motor Vehicle Safety Standard FMVSS 302 for vehicle interiors. This fabric is durable, easy to keep clean, and available at no additional charge. Maintenance. Light vacuum regularly, wipe with clean, damp cloth. No detergents. An argument could be made that it’s at least curious if not hypocritical to promote recycled materials and sustainable business practices while also selling a petroleum based product as an option. 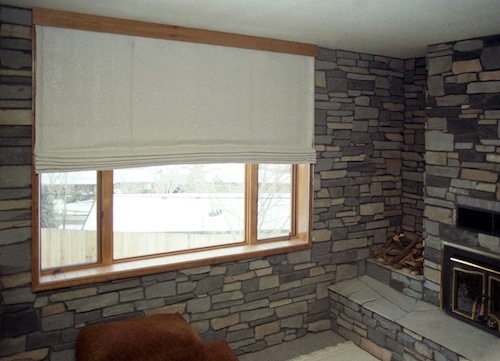 HeatSaver® Thermal Shades, when using our nylon as finish fabric, are still operating quite well after nearly three decades. Hence a similar argument could be made that this is an effective use of a limited resource. Long term energy savings, significant reduction in greenhouse gas emissions, and the ability to rein in expensive utility bills over the long term would not be possible if other less durable materials were used. 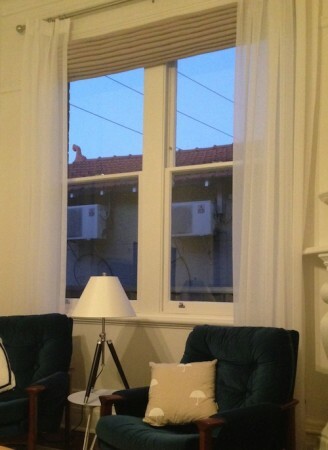 HeatSaver® in a passive solar home. 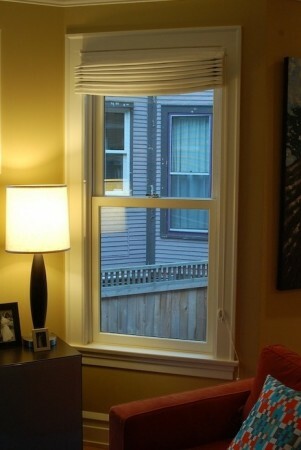 solarium, with its tall windows, our beige nylon material worked quite well. 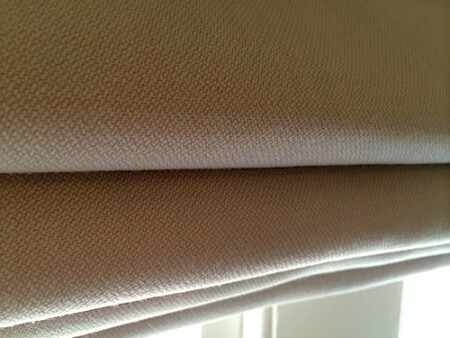 This photo shows excellent detail of our shades finished with Camira Oxygen Spruce. The quality of the fabric is evident. HeatSaver® finished with Camira Lucia Adobo. HeatSaver® finished with Camira Oxygen Spruce. HeatSaver® finished with 300 Denier Nylon. If you have another fabric in mind that you would prefer to use, we can work with you. 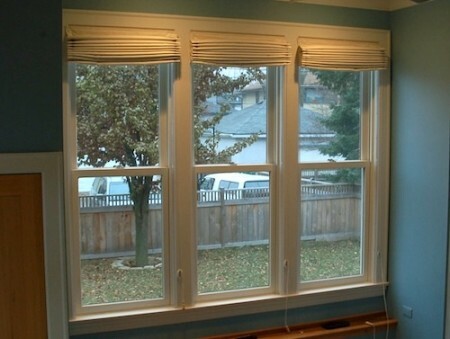 Keep in mind your shades will be in place for many years! The fabric should have inherent strength and stability. We will adjust the price based on your decision and reserve the right to bid manufacturing based on your selection. We will need to know the manufacturer, color name and/or number, pattern repeat (if there is one) and available widths. To be sure of adequate quantities, we will order the material and reserve the right to adjust manufacturing costs.